Drew Strotman (St Mary's College CA) throws a pitch in the first inning. One of four Big Train pitchers to throw a combined no-hittter. 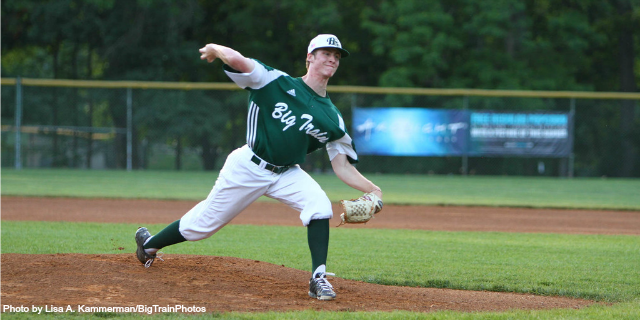 Behind a lights-out performance from their pitching staff, the Big Train defeated the visiting Gaithersburg Giants 6-0 in a pre-season exhibition game Saturday night. Surrounded? You have the enemy right where you want them! COLLEGE PARK, Md. – Seventy-one current and former student-athletes and cheerleaders were among Bowie State University graduates who received degrees during the 2014-15 academic year. Forty-one of those mentioned were awarded degrees during the 2015 Spring Commencement on Saturday, May 23rd at the University of Maryland’s Xfinity Center, while the other 30 earned degrees during the 2014 Winter Commencement. “There is no greater event in the collegiate environment than commencement. Having attended my first Bowie State University commencement I was profoundly impressed by the strong sense of spirit and accomplishment that filled the arena. Our featured speaker, the Honorable Elijah Cummings, rendered a rousing and passionate message that resonated with a strong sense of purpose with the audience, especially the graduates. I am extremely proud of the 64 student-athletes, cheerleaders, managers and student trainer that completed their degrees and walked proudly across the stage to accept their degrees. As Congressman Cummings stated ‘you started something and you finished’. You finished Bulldog strong. Good luck and continued success in all of your futures endeavors”, said Athletic Director Clyde Doughty, Jr. Thank you to Bill Hickman for compiling and updating this information. Martin Agosta, RHP (BT 2011) San Jose Giants (California Lg. - Hi A) 1-2, 4.35 ERA in 12 games. Cody Allen, RHP (BT 2008 & 2010) Cleveland Indians (American League - MLB) 0-2, 9 saves, 6.16 ERA in 20 games. After tough start to season, his ERA has been 3.00 over last 15 games, and 2.57 over last 7. Serves as the team's closer. Matt Bowman, RHP (BT 2010-11-12) Las Vegas 51's (PCL - AAA) 2-5, 6.98 ERA in 8 games. 29 games. Leads team in HR and RBI. Ryan Doran, RHP (BT 2012) Visalia Rawhide (California Lg. - Hi A) 3-1, 3.55 ERA in 12 games. Brian Dozier, 2B (BT 2006) Minnesota Twins (American Lg. - MLB) .247, 44 hits, 9 HR, 24 RBI in 45 games. Leads major league second basemen in HR. Nate Fury, RHP (BT 2010) Lakeland Flying Tigers (Florida State Lg. - Hi A) 0-0, 10.80 ERA in 3 games. Ryan Garton, RHP (BT 2011) Montgomery Biscuits (Southern Lg. - AA) 0-0, 5.87 ERA in 7 games. 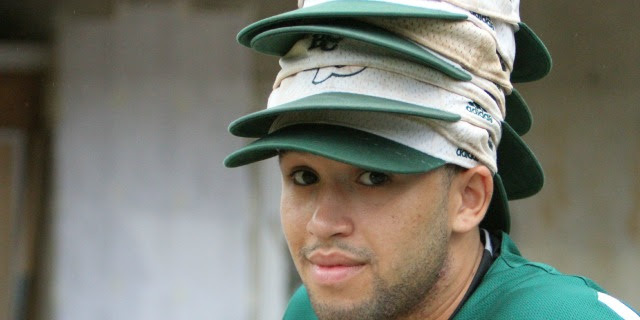 Ben Griset, LHP (BT 2012) Savannah Sand Gnats (South Atlantic Lg. - Lo A) 0-0, 2.70 ERA in 5 games. T. J. Hose, RHP (BT 2004) Camden Riversharks (Atlantic Lg. - IND) On disabled list. No record yet. Matt Long, OF (BT 2006) Colorado Springs SkySox (Pacific Coast Lg. - AAA) .268, 45 hits, 2 HR, 22 RBI in 43 games. Joe Mantiply, LHP (BT 2010) Erie SeaWolves (Eastern Lg. - AA) 1-1, 3.12 ERA in 12 games. Michael McKenry, C (BT 2004) Colorado Rockies (NL - MLB) .256, 11 hits, 1 HR, 5 RBI in 21 games. Brennan Middleton, SS (BT 2010-12) Hagerstown Suns (South Atlantic Lg. - Lo A) .208, 15 hits, 12 RBI in 21 games. 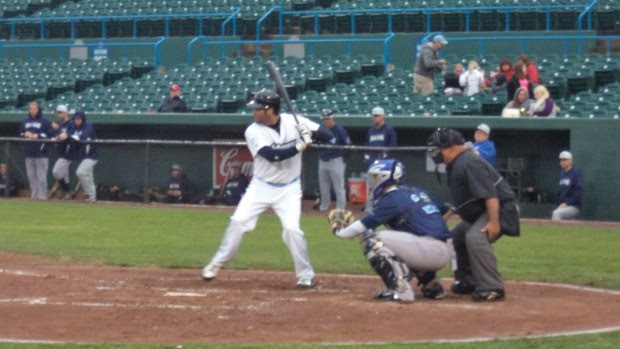 Mitch Morales, SS/2B (BT 2012) Tri-City Dust Devils (Northwest Lg. - ss-A) Season begins June 18. Mason Morioka, C (BT 2009-10-11) Rockford Aviators (Frontier Lg. - IND) .100, 1 hit in 4 games. Jimmy Reed, LHP (BT 2010) Palm Beach Cardinals (Florida State Lg. - Hi A) 2-2, 2.47 ERA in 7 games. Hunter Renfroe, OF (BT 2011-12) San Antonio Missions (Texas Lg. - AA) .232, 36 hits, 2 HR, 16 RBI in 41 games. David Wayne Russo, LHP (BT 2010-12) Rockford Aviators (Frontier Lg. - IND) 0-0, 3.00 in 3 games. Kelly Secrest, LHP (BT 2011-12) St. Lucie Mets (Fla. State Lg. - Hi A) 3-1, 3.94 ERA in 12 games. Danny Stienstra, 1B (BT 2008-09-10) Amarillo Thunderheads (American Association - IND) .222, 2 hits, 2 RBI in 3 games. Justin Wright, LHP (BT 2008) Memphis Redbirds (PCL - AAA) 0-0, 3.60 ERA in 4 games; after starting season with Springfield Cardinals (Texas Lg.- AA) 1-1, 2.92 ERA in 12 games. The dream fulfilled continues for former Bowie State University Bulldog Tight End, Khari Lee. Following a Pro Day that brought multiple NFL Scouts to Bulldogs Stadium and several personal try-outs at team NFL team practice facilities, Lee followed in the footsteps of former Bulldogs Defensive End Delano Johnson and signed a Free Agent Contract with the Houston Texans on May 8, 2015. When asked what his initial reaction was when he got the call from the Texans, Lee said, "I was very excited once I got the call. All the hard work I had put in over the years got me to that point. It was surreal! The Texans were actually the first team to come to school and work me out." He then added, "I'm not really sure what the coaches have in store for the tight end position this year; I'm just excited to go out there, give it my all and compete. The Medal of Honor Bowl and East-West Shriner Game were great for exposure during my pre-draft process but now that I have an opportunity, I have to make the most of it." Since joining the Texans, Lee has spoken with Johnson who was on the Texans roster from May 2012 to August 2013. Having moved on to the Toronto Argonauts, Johnson still had sage advice for the Rookie. "He urged me to pray every night and earn my spot every day. In January, Bill O’Brien was named the new Head Coach and John Perry was named Tight Ends Coach. We asked Lee what strengths he brought to the table as a Rookie with a fresh coaching staff and going up against the likes of J.J. Watt and Vince Wilfork in practice every day? "My versatility is what separates me from a lot of people. Whether it is my route running or run blocking, I think I do a lot of things well and it’s a great opportunity to come out and compete against some of the best in the NFL. " A walk-on student-athlete turned All-American and now college graduate turned professional football player. When asked to recall his most vivid Bowie State Bulldogs memories, Lee said, "My most vivid memory would have to be warming up on game day and hearing that band march down the hill. The atmosphere of it all makes HBCU football one of a kind. Like those before him, Lee will most certainly take Bulldog Pride with him. "The article of clothing I'd wear every game if I could would probably be a Bowie State dry fit workout shirt." Lee ended with these words for his follow Bulldogs he knows will one day follow him, Delano Johnson, Douglas McNeil, III and Isaac Redman; all NFL players. "Find your why and never stop grinding. If you want something, go get it. Don't listen to the critics or fans just go out and use your God given talent with 100% effort." No better words have been spoken. Well done, Bulldog…well done. Reach Thousands Of Prospects This Week On US Sports Radio! CT Fletcher contains profanity, and Truth! With just over a week until the first exhibition game, we bring you season stats and information on the 2015 roster that will prepare every Big Train fan for the upcoming season. When God Is Good How Do I Respond? Physicians in ancient Greece, Egypt, Rome, Babylon, Assyria, and Persia touted this treatment as “the best food and medicine in the world” … and they were right. Not only does this treatment leave you glowing on the outside, it also keeps you healthy on the inside. Nearly all your organs benefit. Your mood does too. BALTIMORE -- Three Coppin State student-athletes will participate in the 2015 NCAA Division I Preliminary Outdoor Track and Field East Regional Championships, which will be held at the University of North Florida in Jacksonville. The three-day meet starts on Thursday, May 28 and concludes on Saturday, May 30. Representing the Eagle women will be their dynamic duo of junior Mid-Eastern Athletic Conference (MEAC) champions Tanaya Yarde (400-meter hurdles) and Deandra Daniel (high jump). Making the trip south for the men for the third straight year will be junior Shane Green (triple jump). If each athlete finishes among the top 12 of their respective events, they will advance to the NCAA Championship meet in Eugene, Oregon from June 10-13. This will be Daniel’s third consecutive trip to the East Regional Preliminary Championships. Daniel enters the meet with the fourth best high-jump effort of 1.87 meters (6 feet, 1.5 inches), a mark she achieved on April 18 at the Morgan State Legacy Meet. The six-time MEAC high jump champion earned All-American honors during the indoor season after finishing third in her signature event. Yarde’s first trip to the East Regional Preliminary Championships caps a memorable year for the speedster. Entering the event with the 19th fastest time, Yarde set the Coppin State school record in the event four different times this outdoor season, most recently with a time of 58.18 seconds in winning the MEAC Championship on May 2. Prior to this season, the Coppin State school record had stood for 23 years before Yarde’s relentless assault on the record books. Meanwhile, Green will also be making his third straight trip to the East Regional Preliminary Championships. He enters the meet having jumped at least 50 feet in two consecutive weekends. His season best mark of 15.58 meters (51 feet, 1.5 inches) is 24th overall and was achieved at Coppin State’s Don Webster Invitational on May 8. Green finished third in the triple jump at the MEAC Championships and fourth at the ECAC/IC4A Championships last weekend. Green also earned IC4A All-East honors for his performance last week. Yarde will compete in the first round of the 400-meter hurdles on Thursday, May 28 at 4:30 p.m. and the quarterfinals of the event will be Friday, May 29 at 6:00 p.m. Green and Daniel will be in action around the same time on Saturday, May 30. Daniel starts the high jump at 6:00 p.m. and Green begins the triple jump at7:00 p.m.
What are these Riches In Glory? HAMPTON, Va. - Four student-athletes from Bowie State University have been named to the 2015 CIAA Commissioner's All-Academic Team. The Central Intercollegiate Athletic Association (CIAA) announced the 40 student-athletes from its 12 member institutions selected to the Commissioner's All-Academic Team. Seniors Cassandra Clayborne (Damascus, Md.) and Shayla Lightfoot (Henrico, Va.), graduate student Christopher Townsend (Washington, D.C.) and junior Justin Beck (Ellicott City, Md.) represent Bowie State as selections on the All-Academic team. Clayborne and Townsend earned First Team honors, while Lightfoot and Beck earned a spot on the Second Team. The 2015 CIAA Commissioner's All-Academic Team consists of 20 male and 20 female student-athletes, as voted on by the CIAA Sports Information Directors' Association. The All-Academic Teams is divided into two groups, First Team and Second Team. To be eligible, a student-athlete must have completed one full academic year at a CIAA institution, have a minimum grade-point-average of 3.20 (on a 4.0 scale) and must have competed as a starter or important reserve in a CIAA sanctioned sport (men's and women's cross country, women's volleyball, women's bowling, football, men's and women's basketball, men's and women's track & field (indoor and outdoor), softball, baseball, men's golf, and men's and women's tennis). Clayborne and Juan Sanchez of Shaw University were named the 2015 CIAA Female and Male Scholar Athlete of the Year, respectively. Clayborne, an outfielder on the BSU softball team, is a three-time All-CIAA Softball First Teamer (2012, 2013 and 2015) and has a career ambition of becoming a rheumatologist. She is a two-time Capital One Academic All-District II (2013 and 2015) recipient and was selected to the 2015 member of the CIAA All-Tournament Team. The Bulldogs Most Valuable Player  was the 2012 CIAA Rookie of the Year. She finished the 2015 season with a team-high .368 batting average, .566 slugging percentage and .969 fielding percentage. The outfielder scored a team-best 34 runs, had 39 hits which included five doubles, two triples and a team-high four homeruns. She was also responsible for 17 RBI. The Biology major has a perfect 4.00 cumulative grade point average. Townsend led the Bulldogs football team in total tackles (73) during the 2014 season (47 assisted and 26 solo tackles, 17.5 tackles for a loss of 61 yards, two sacks, a pair of pass breakups, one quarterback hurry, four fumble recoveries and one forced fumble) . He achieved a 4.00 GPA during the Fall 2014 semester as a Public Administration major. Lightfoot is a four-time All-CIAA Bowling honoree, (2011-2012, 2012-2013, 2013-2014 and 2014-2015), two-time CIAA Bowler of the Year (2013 and 2015), Team Most Valuable Bowler (2011-2012, 2012-2013 and 2013-2014), BSU Female Student-Athlete of the Year (2012-2013), member of the CIAA All-Tournament Team (2013 and 2014), CIAA Tournament MVP (2013), CIAA Tournament Co-MVP (2015) and Bowie State Female Athlete of the Year (2014-2015). She is Sports Management major with a 3.32 grade point average. Beck has received the Bowie State men’s basketball Team Academic Award three consecutive years (2012-2013, 2013-2014 and 2014-2015) and was named to the CIAA All-Tournament Team (2015). The Accounting major has a cumulative grade point average of 3.26. During the 2014-2015 season, he made 52.7 percent of his field goals (88-167), which included 15-42 behind the 3-point line, shot 78.8 percent at the free throw line (104-132), grabbed a team-high 180 rebounds (6.0 avg. ), handed out 35 assists, blocked 12 shots, had 15 steals and scored 295 points (9.8 avg.). When Talent Meets Hard Work? Results! Entertain Guests this Summer for Less with Savings from Walmart.com! Athletes! How Badly Do You Want To Succeed? Athletes Use Your Emotions Or Emotions Will Use You! College Football 2016 Is On the Way! Landover, MD – The D.C. Divas had waited this long to make their home debut. A little rain wasn't going to slow them down. 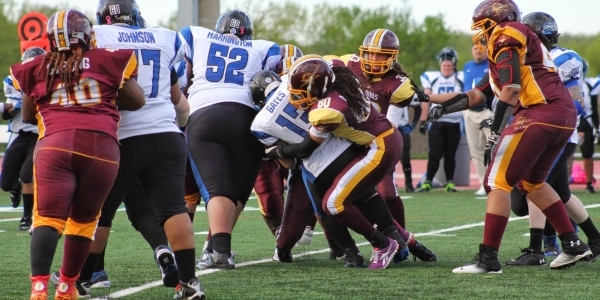 Facing slippery conditions, the Divas kept the ball on the ground – rushing for seven touchdowns – and capitalized on five lost fumbles by the Columbus Comets to win their home opener, 60-0. The Divas (5-0) got on the board first with a 39-yard touchdown run by Kenyetta Grigsby. Grigsby finished the game with 88 rushing yards on just seven carries. Less than five minutes into the game, the Divas led, 7-0. Then the fumbles began. With a steady rain falling throughout the first half, both teams had difficulty hanging on to the football. Helen Deer fell on a Columbus fumble to give the Divas possession, but Divas quarterback Allyson Hamlin fumbled the ball right back to the Comets after taking a blind side hit from behind. However, the Comets (0-5) had difficulty moving the ball on offense all game long, thanks largely to the weather conditions and key injuries to several of Columbus’ top playmakers. The Comets were forced to punt, and the Divas took advantage when Ashley Whisonant took the ball on an end-around and ran 13 yards for the Divas’ second score of the game. The Divas led, 14-0, after one quarter. One of the biggest improvements to the D.C. Divas’ offense this season has been the addition of Callie Brownson, the Divas’ All-American defensive back, to many of the Divas’ offensive sets. Brownson was the offensive star of the game, rushing for two touchdowns in the second quarter alone from the running back position. Her second score of the game, a 49-yard run for the end zone, put the Divas on top, 27-0. The Divas’ defense then joined the scoring parade. Alicia Hopkins snared her first of two interceptions on the evening, returning it for a touchdown and a 33-0 Divas advantage. Defensively, Tia Watkins led the Divas with eight tackles, while Paris Smith and Kamil Maclin added four apiece. The D.C. Divas led 33-0 at halftime after a first half punctuated by seven lost fumbles – four by Columbus and three by D.C. But as the first half wound down, the rain finally cleared out and allowed for much better execution in the second half. The Divas expanded their lead in the third quarter. First, Hamlin threw a 41-yard touchdown pass to Kentrina Wilson, the only passing touchdown of the game. Wilson ended the game with two catches for 55 yards and one touchdown. Immediately after the touchdown strike, Hamlin went to the bench for the remainder of the contest. She was replaced at quarterback by Brownson, who continued to be as dangerous a scoring threat from that position as she was at running back. After several strong runs by Okiima Pickett, Brownson scored on a one-yard sneak to put the Divas ahead, 47-0. Pickett powered the Divas’ running game in the second half, rushing for 59 yards on a team-high 14 carries. Fifteen-year veteran Donna Wilkinson also got in the act late in the third quarter. Wilkinson, the only remaining Diva who has played in each of the team’s 15 seasons, rushed for a 13-yard touchdown late in the third quarter to make the margin 54-0. Wilkinson gained 54 yards on seven carries for the game. Safi Mojidi recovered a fumble near the end of the third quarter, the Divas’ fifth fumble recovery of the game. Mojidi joined Cherre Marshall, Trigger McNair, and Helen Deer as Divas defenders who corralled the slippery football after it was fumbled by the Columbus backs. The Divas substituted liberally throughout the second half, and several reserves played throughout a mostly scoreless fourth quarter. But Brownson, still in at quarterback at the end, put the final exclamation point on the game with a 32-yard touchdown run as time expired. Brownson’s team-leading 147 rushing yards included four rushing touchdowns. Callie Brownson became just the fifth Divas player ever to rush for four touchdowns in a game, joining Grigsby, Wilkinson, Rachelle Pecovsky, and Jane Reynolds. Due to a quirky schedule brought on by multiple forfeits from the Central Maryland Seahawks, the Divas made their home debut on May 16 – the latest date in the year the Divas have ever held their home opener in 15 seasons. After such a long wait, not even a first-half rainstorm could dampen the Divas’ excitement to open their home slate. The Divas now enjoy a bye week before three games in three weeks to close out the regular season. The Divas next return to action on May 30 in Atlanta when they face the southeastern powerhouse Atlanta Phoenix. The Divas’ next home game will take place on June 6, when they tackle the highly-rated Cleveland Fusion. Baby Days Rule At Walmart! Modern living -- especially in wealthy, developed countries -- is largely based on convenience and comfort rather than what’s good for us. But what we gain from luxuries like body-conforming mattresses and anti-wrinkle clothing could also be putting our health at risk. Many of us don’t have to wait till we get cancer to find out we’ve made a mistake. The chemicals make us sick now and we have to do something about them. We may be the lucky ones. . .
. . .because most people sail along without being bothered by the chemical wonderland we live in. After decades of exposure, they often get cancer. If you want to do something about the toxins instead of assuming everything’s all right, then read the following collection of do’s and don’ts for your bedroom and bathroom. 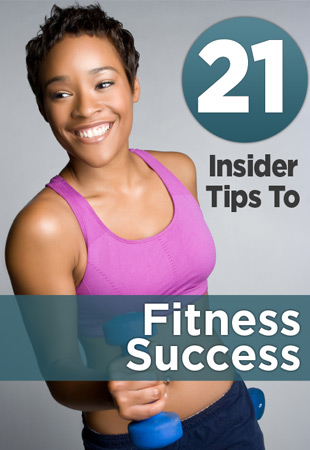 By acting now on these tips for navigating hidden dangers in your house, you’ll curb your risk of future health problems. BALTIMORE, Md. - Bowie State senior Sonny Hicks and freshmen Kevin Johnson and Tony Doublin led the Bulldogs’ men’s track and field team at the Coppin State University Don Webster Invitational on Friday (May 8th). It would be the final regular season meet for Bowie State University. Hicks finished in 5th place in the 800 meter run (1:53.56) while Johnson and Doublin placed 3rd and 4th respectively in the high jump. Johnson went over the bar at 1.83m and Doublin went 1.73m. Johnson also competed in the long jump, placing 7th overall (6.58m). Doublin placed 4th in the triple jump (13.56m) and finished 12th in the long jump (6.12m). Senior Rhema Ndjami competed in the 800 meter run and finished in 6th place with a time of 1:54.40. Freshman Vidal Adams finished tied for 5th place in the long jump (6.92m) with Howard’s Clifford Hackworth. The Bowie State 4x400 meter relay team consisting of Hicks, seniors Fabian Gonzalez and Travis Scarborough along with sophomore DeAndre Watson finished 5th overall, crossing the finish line with a time of 3:20.46. 2016 Football Prospect Michael Smith Jr.
BALTIMORE – Postseason recognition continues to roll in for Coppin State senior Candice Van Horn and junior Danielle Smith as both players were selected to the College Sports Madness All Mid-Eastern Athletic Conference (MEAC) softball teams over the weekend. It’s been a big week for Van Horn, who named to the 2015 Capital One Academic All-District ® II Softball Team, selected by the College Sports Information Directors of America (CoSIDA). As a first team selection, Van Horn now becomes a candidate for the Academic All-America team. Playing multiple positions this season for Coppin State and excelling everywhere, Van Horn was selected as the first team utility player. Van Horn finished the season with a .400 batting average. It was the second consecutive year that Van Horn enjoyed a batting average at least .400. She also won four games as a pitcher, including two last weekend to help the Eagles win a series against crosstown rival Morgan State. Van Horn finished the regular season sixth in the MEAC in batting average and third in doubles with 11. She had 36 hits and a team best 19 runs batted in. Van Horn also hit four home runs including a grand slam against Winthrop. For her career, Van Horn played in 136 games and tallied 120 hits, scored 98 runs, drove in 59 runs, had 26 doubles, slugged 14 homeruns and collected 29 multi-hit games. Smith led Coppin State with 37 hits and five home runs. She ended the season with a .359 batting average. Smith enjoyed a 16-game hitting streak late in the season in which she hit over .500 during her torrid stretch. Two of her five home runs led off games (USC-Upstate and Drexel). Smith had 11 multi-hit games this season, including a pair of three-hit efforts against Maryland Eastern Shore and Delaware State. Smith ended March on fire by recording seven hits during a three-game stretch. She finished the regular season strong by collecting five hits during the Eagles three-game series against Morgan State. College Sports Madness covers all aspects of college sports...from recruiting right up through the professional draft. Our preseason previews prepare fans for the upcoming season of their favorite teams and can then follow their team all the way through the post season. The Madness helps the college fan follow their favorite teams with our unique team pages that, in one place, brings together information about that school's sports teams from the football squad to the women's soccer team and everything in between.